So far WizKids has created 159 blog entries. February 25, 2019 – HILLSIDE, NJ– WizKids, the industry leader in high quality pre-painted & unpainted miniatures and established board games, announced a new licensing partnership with Hasbro today with the addition of beloved propertiesG.I. Joe, My Little Pony and Transformersto WizKids’ extensive line of miniatures. October 3, 2018—Hillside, NJ—Well-known game publishers, Alderac Entertainment Group, CMON, Games Workshop, Renegade Game Studios, Stronghold Games and Wizkids have joined forces and today announced their plan to host the second annual ESSENtial Retailer Summit, set to take place during SPIEL 2018 on October 26 in Essen, Germany. 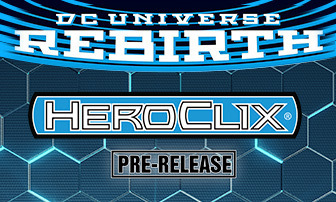 August 7, 2018 – Hillside, NJ –WizKids, the leader in high-quality pre-painted miniatures and established board games, today announced a new multi-year licensing partnership with WWE, with plans to bring the organization’s iconic Superstars to the tabletop with successful gaming platforms HeroClix and Dice Masters as well as branded board games. Unleash Eldritch Fun in A’Writhe: A Game of Eldritch Contortions—Available Now! A New Generation of Heroes Rise Up to Take on Evil in Wave 2 of Wardlings, Available Now!